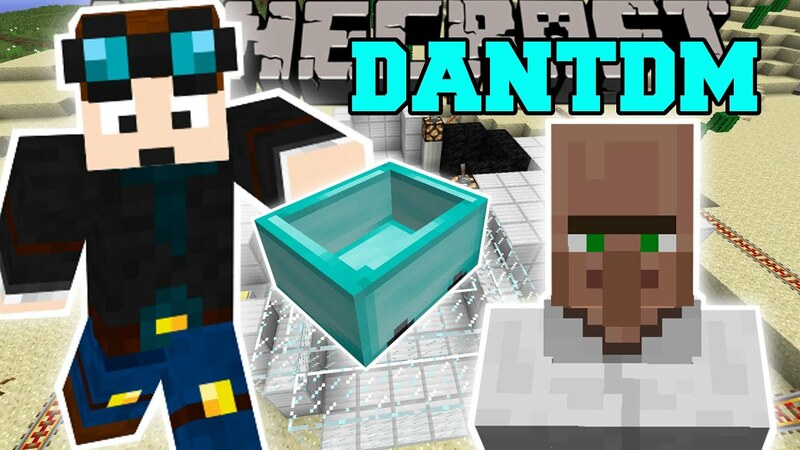 If you’re looking for a gaming channel that centers on ‘Minecraft’ that’s (for the most part) family friendly, then you need to be watching ‘The Diamond Minecart‘ by DanTDM. My son LOVES ‘Minecraft’, but because he plays on the XBox, he doesn’t get to use mods. So, he likes to watch them in action online. I’m ok with this for the most part, but I like to screen the videos beforehand. Unfortunately, there are a lot of channels out there that are REALLY funny, but not good for a 6 almost 7 year old to watch (in my opinion). Dan is really good about being family friendly with the one exception being his “horror mod” videos, where I have caught him using “hell” and “damn”. If you’re cool with your kid hearing those words once or twice in a couple of videos, then there’s no need to worry. Otherwise, just keep an eye out for the horror stuff, or don’t let your kiddo watch. Other than that, he’s very good about watching his language and keeping his videos fun for everyone. I’ve even seen him featured on a couple of Disney shows. Dan’s videos feature a plethora of characters, including a professor, a bone dog, and a mailman. He shows off different mods by creating a story within the game using the characters he’s created, and then displays different items in a treasure room. His positive personality shines and captivates his audience, which is why he’s gained so many subscribers. (Personally, I’m hoping he can overtake Pewdiepie someday, who has four times as many followers.) Sometimes he has videos featuring his wife, and he truly enjoys what he’s playing. He’s fun to watch (even for someone like me who doesn’t play ‘Minecraft’), and that’s why ‘The Diamond Minecart’ is the web show of the month!